A recent article in the New York Times discusses the issue of landlords making cash offers to “buy out” tenants of their rent regulated tenancies. 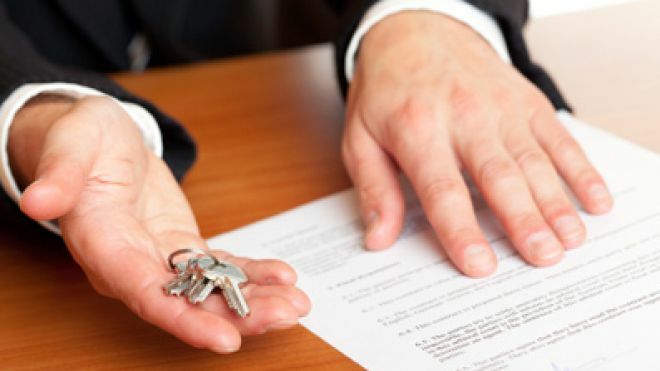 Our firm has handled these situations, representing both landlords and tenants in different transactions regarding such buyouts. The reason behind such offers is the rent regulation system currently in place in New York City. Many, but not all, apartments in New York are subject to rent regulation. Rent regulation applies to apartments renting below a certain amount, but does not apply to rentals of a condominium or cooperative unit by its owner. Whether an apartment may be subject to rent regulation is a complicated issue and can be the subject of additional legal proceedings, with which our firm also has extensive experience. Once an apartment is subject to rent regulation, a tenant residing therein has certain legal rights regarding their tenancy. The first right is the amount of the rent paid by the tenant. This amount is determined by an extremely complicated formula, in which the following factors are taken into account: the rent paid by the prior tenant, increased by a “vacancy allowance,” plus increases may be allowed for improvements made by the landlord to the apartment, such as the installation of new appliances, new windows, and so forth. Renewal leases are subject to particular limited on rent increases determined annually by the Rent Guidelines Board. The issue of what the actual regulated rent should be, and whether the improvements made the landlord are sufficient to allow a rent increase may be challenged by the tenant. Under statute, if a landlord is found to have overcharged for a rent regulated apartment, a tenant may recover as damages triple the amount of the overcharge. In addition, the Rent Guidelines Board allows landlords a certain percentage increase on renewal leases. This means that after a current lease expires, the landlord has the right to raise the rent by a certain percentage as decided by the Board. Under the current Mayor, the Board has taken on a pro-tenant tilt, and the increases to be permitted to the landlord have been even more minimal. New York’s rent regulations have created a shortage of affordable apartments, as would any government attempt to regulate the price of any commodity. Because landlords are allowed to increase rents only once a tenant vacates or at small rates for renewals and renovations, this creates an incentive on the part of landlords to remove their current tenants, whether through means fair or foul. One way of removing tenants is to offer the tenant a large sum of money to vacate. The landlord assumes that the allowed increases once the tenant vacates will, over a period of time, pay for the sum given to the current tenant to vacate. For example, assume a tenant is renting an apartment for $500.00 a month. The landlord calculates that, once the current moves out, the apartment, under allowed vacancy increases, will rent for $1,500.00 a month. The landlord offers the tenant $20,000.00 to vacate, assuming that, over a period of several years, the payment will be covered by the rent increase to the new tenant. Of course, from the tenant’s perspective, they are surrendering their residence, and will need enough money to rent or purchase a new place to live. If the money being offered is insufficient for these purposes, the tenant may be better off staying in their rent-regulated apartment. Further, should the tenant decide to accept the buyout offer, a qualified attorney should supervise the transaction to confirm that the proper legal documents are executed and all funds are paid and received by the proper parties prior to the surrender of the premises. Our firm is available to calculate and negotiate such buyouts and welcomes all inquiries regarding these situations.